National Pi Day, which combines the mathematical constant of π — or 3.14 — with a slice of delicious pie, is celebrated on March 14. Although the concept has been around since 1988, Pi Day wasn’t officially recognized until 2009. So that means it’s been 10 years of ‘Pi-tastic’ eating, and we’re always looking for a good excuse to celebrate pie! There’s something about pie that is nostalgic. It’s a dessert that’s eaten for all kinds of celebrations. It’s also versatile. It can be eaten cold or hot. It can be served with coffee, tea or milk. It can be topped with ice cream or whipped cream. It can be served on a plate or even in a bowl. Pies are a favorite here at Orr’s Farm Market. Throughout the year we offer fresh seasonal fruits to make a scrumptious pie. Although it might be a couple of months before we get any fresh crops, we still have apples we picked this fall that have been waiting in cold storage and are perfectly ideal for a good apple pie. If you’re too busy to make your own pie, we offer a variety of pies you can purchase at our market. We make fresh deep dish 10-inch pies daily here. The varieties are blueberry; strawberry rhubarb; apple; caramel apple nut pie; blackberry; cherry; Dutch apple; caramel nut; pecan; peach; chocolate cream and lemon crunch. We offer coconut cream pie by pre-order only. Those of you who must watch your extra sugar intake, we offer three types of sugar-free 9-inch pies: peach; apple and cherry. Each are sweetened with Xylitol. On March 14 we’ll be offering 15% off pies, so on Pi Day grab a slice of your favorite pie and raise your fork in salute to the beauty of the endless pi and the eating of delicious pie. Order online at https://orrsfarmmarket.com/product-category/order-pies-for-pickup. 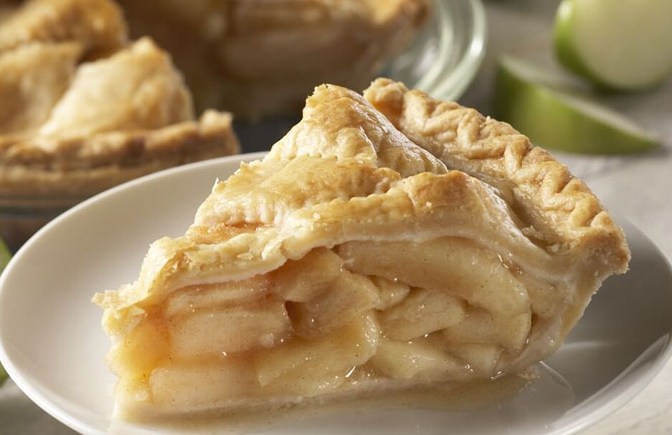 At Orr’s Farm Market, every day is Pie Day! Stop by our market to pick up your favorite pie or try one of our flavors. We’re open Tuesday through Saturday from 10 am to 5 pm, and Sunday from 10am to 4 pm. We look forward to seeing you on the farm!